TNGHT (Hud Mo and Lunice) - 'Bugg'n' - FACT Magazine: Music News, New Music. 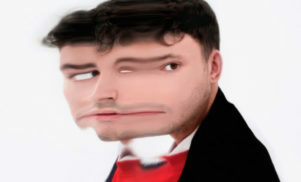 As you may or may not already know, TNGHT is a new project by Hudson Mohawke and Lunice that debuted live at SXSW this year. TNGHT’s debut EP is due for release on Warp and LuckyMe later this year; until then, you can hear a track from it titled ‘Bugg’n’ below.